Nos. 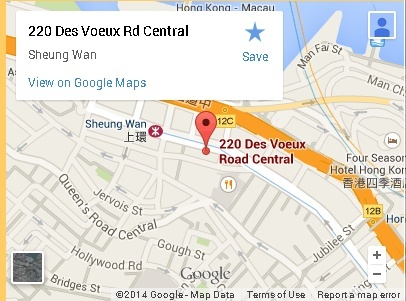 216-220 Des Voeux Road Central, Hong Kong. You can fill in a Enquiry Form right now. In Hong Kong, all limited companies need audits. We provide clean, efficient, effective and high quality audit and assurance for your companies. Our services cater to your specific requirements. The people behind our CPA limited have years serving micro and small businesses. SME that don't have the resources and powers to run. We understand your needs in fulfilling the audit requirements by laws - you will find them in the Companies laws and statutes, Tax laws, or even sometimes your partnership agreement. We are a firm registered in Hong Kong and conduct our audit and assurance services in accordance with the relevant standards and our audit methodology (APMII) follow those required by the Hong Kong Institute of Certified Public Accountants. At "A. Liber" - we respect your own liberty in running your own business. Setting up a Company in Hong Kong can be quite straight forward - you always have your own liberty. As directors, however, it usually becomes difficult when you need to complete the audit. As the investors, it becomes eager for you to know more about the company you own and invested in. Here at Abaci Liber we have gone all the way to examine the company you own. We perform our audits and assurances following the standards required by the Hong Kong Institute of Certified Public Accountants. We apply the standing procedures in Hong Kong when performing your audits. We have a team of staff that listens to your situation and report back to your investors. At Abaci Liber we are passionate about integrity, independent and report efficiency. We aim our process to be clean and efficiencient so you can at ease in running and focusing your business again. Our process was formed on the basis that clients would receive a fair service with prompt financial report prototyping, through a complex audit data capturing, sophisticated and internal secured information sharing amongst our staff and us. Thanks to the support and feedback from the HKICPA. Their periodic performance reviews on our principal's quality of working papers has enabled us to uphold the HKICPA standards. It is also clients like you who keep us up to date with the latest trends in business, in such a way that we can apply our standards and report on your business. Feel free to tell us what you think and give us feedback. Connect through our contact emails. Or, if you need more in-depth help in your audit business, you can simply type your questions into the emails for an appointment. Thomas is Fellow Chartered Accountant (FCA) and Fellow Certified Public Accountant (FCPA) with many public practising experience. He has undertaken financial reporting advisory and assurance services for a wide range of particular clients including associations, charity bodies, SMEs, and regulated entities (such as those under PIBA, EMB, SWD, LawSoc and SFC). Started almost two-and-a-half decades ago, Thomas has involved or facilitated in financial and information systems assurance, operational risk management reviews, and advisory assignments where the subject matters included both information systems (such as customer billings, assessment of operational and security risks) and financial systems (such as financial reporting, financial due diligence, financial information controls, financial systems design and implementation). He has served clients in the fixed-line and mobiles tele-communication, clients with custodian or trust accounts such as the insurance brokerages, stock brokerages, and credit card operations industries, for companies listed and unlisted, both local and overseas. He was notable to be one of the first FCPA (Practising) in Hong Kong who cross-holds the CTA(HK), FCA(ICAEW), CISSP and CISA designations. He has memberships in other bodies including ITAA, ISACA, TIHK and SCAACPA. He obtained professional certificates in both international financial reporting and assurance. He had been a registered module facilitator, marker and an authorized supervisor for the HKICPA QP articling students. He is also an accelerated trainer for CTA(HK) designation. He had also prepared and delivered company secretarial materials to mature students. Thomas completed his articling years in the legacy Price Waterhouse & Co., Deloitte Touche Tohmatsu or what is now PricewaterhouseCoopers. He still appreciates their sophisicated training even till now, for they have enabled Thomas to pass the final four professional examinations in the final level at their first attempts. Prior to joining any professional assurance firms, Thomas majored in mathematics and management with a B.Math, with some spectrums in other subject areas such as business ethics, propositional logics, western classical philosophies and applied behaviorial science. Statutory financial statements audits are by far exerts the most pressure on us and our clients' directors. It is required by the Companies Ordianance Statutes for a company to provide an auditors report. Our company deals with it critically. You as an investor deserves an report every year on your company. However, we try to streamline the required documentation from your directors - trying to make it as clean as possible. We base our audit methodology on those standards required by the HKICPA. Where situation arises and let's say your directors need an internal report. Let us know and describe your needs. We will follow the methodology required by the HKICPA. We look at the items and see if they fit the accounting standards and descriptions. You need an report but you are anxious about your Company. You are not entirely sure about the accounting standards and how will your auditors deal with the situation. Your auditors are independent auditors. They shouldn't answer your questions. In that case, don't hire us as your auditors. We become your advisors as long as we are independent. We will follow the methodology required by the HKICPA. With enough resources we will examine your situation, the existing standards, and draw certain plan of action and recommendation to deal with your auditors. Yes, sometimes we do auditing and bookkeeping. Under our company policy as long as you are not a "public interest entity" we can bookkeep your books to certain extend. We will let your shareholders and those in governance of your company know such fact. We will discuss with you the possible threats against our independence and discuss with you the remedies to tone down these threats so that we may still be independent. Let us know. Other services are not listed here. Find them out in other links. "Liber" - also means freedom. 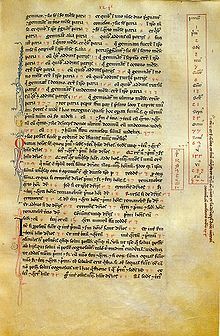 Abaci liber (1202, also spelled as Abbaci liber) is a ancient book on arithmetic by Leonardo of Pisa, known later by his nickname Fibonacci. In the West, the Fibonacci sequence first appears in the book. Fibonacci considers the growth of an idealized (biologically unrealistic) growth in rabbit populationThe puzzle that Fibonacci posed was: how many pairs will there be in one year? 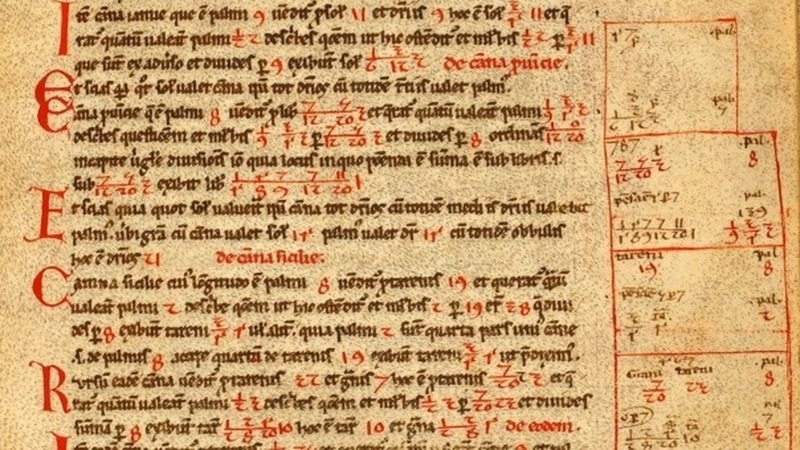 Abaci liber was the first known Western book to describe Modus Indorum Hindu–Arabic numbers traditionally described as "Arabic Numerals". By addressing the applications of both commercial tradesmen and mathematicians, it contributed to convincing the public of the superiority of the new numerals. The title of Abaci liber in Latin means "The Calculation Book". Although it has also been translated as "The Book of the Abacus", Sigler (2002) writes that this is an error: the intent of the book is to describe methods of doing calculations without aid of an abacus, and as Ore (1948) confirms, for centuries after its publication the algorismists (followers of the style of calculation demonstrated in Abaci liber) remained in conflict with the abacists (traditionalists at that time who continued to use the abacus in conjunction with Roman numerals). We call ourselves A.Liber; "Liber" - also means freedom.